Building Better Opportunities (BBO) is a national programme from The National Lottery Community Fund who are matching funds from the European Social Fund (ESF) 2014-2020 to invest in local projects tackling the root causes of poverty, promoting social inclusion and driving local jobs and growth. 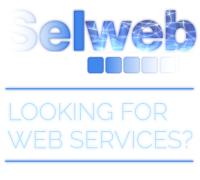 Selnet is leading three specialist partnership projects that are delivering support across Lancashire, Blackpool and Blackburn with Darwen; ‘Age of Opportunity’, ‘Invest in Youth’ and ‘Changing Futures’ are unique in being delivered by 45 exclusively Voluntary, Community, and Social Enterprise Organisations. With each partner having specific expertise in supporting disadvantaged people, our partners combine to help each participant understand, address and overcome a wide range of barriers. Over three years, 3270 disadvantaged people will benefit from support tailored to their individual needs and interests to overcome complex barriers and move towards work and training. The ‘barriers’ that contribute towards people being disadvantaged and unable to engage in work, education or training can include issues around; mental health, low self-esteem and low confidence, health problems or disabilities, caring responsibilities, debt, low or no skills, access to childcare, BME, LGBT, chaotic lifestyles and substance misuse. In September 2018 we reached a huge milestone; in 2 years our partnerships had engaged 2000 people to help them address and overcome barriers. 200 people who were previously struggling with multiple barriers had started a new job or begun training. Perhaps one of our projects could help you or someone you know? Selnet led a 12-month process of developing three Lancashire-wide partnerships to provide specialist employability and skills support to disadvantaged people. Two projects began in August 2016; the ‘Age of Opportunity’, supports the over-50s, and ‘Invest in Youth’, supports young people aged 15-24. The third project, ‘Changing Futures’, began in February 2017 and supports people with multiple and complex barriers to employment. The Age of Opportunity project supports people who are over 50 and currently unemployed or economically inactive to improve their skills and employment opportunities. The Invest in Youth project supports young people aged 15-24 who are unemployed or economically inactive including those not in employment, education or training ‘NEET’ or at risk of becoming NEET, to improve their skills and employability. The Changing Futures project supports individuals who are at risk of exclusion from the labour market to overcome multiple and complex barriers and move towards employment and training. The 2014-2020 European Structural and Investment Funds (ESIF) Growth Programme provides funds to help local areas stimulate growth. The funds support investment in innovation, businesses, skills and employment to improve local growth and create jobs. A single ESIF Growth Programme has been set up to combine three separate European Funds. The Growth Programme provides funding to help projects in England that create jobs and economic growth. 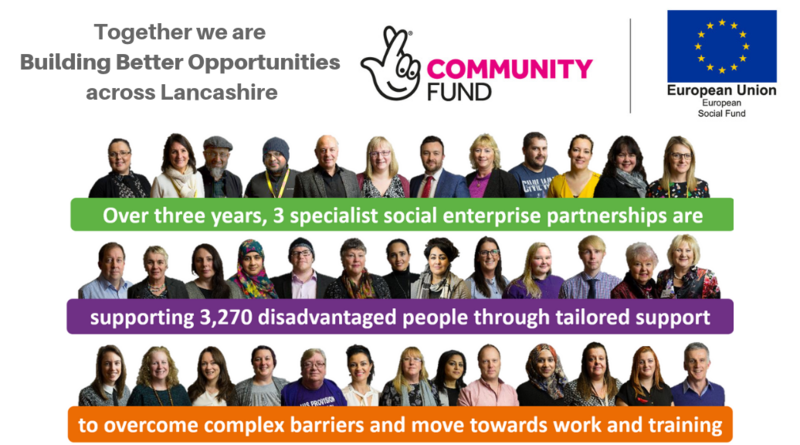 Lancashire LEP developed arrangements to ‘opt-in’ to the Big Lottery Fund (now known as The National Lottery Community Fund) to enable Lancashire to build a strong foundation for social inclusion programmes. This resulted in a £12.5m project for Lancashire in Building Better Opportunities joint funded by The National Lottery Community Fund and European Social Fund that will encompass 5 Lancashire projects.